For over 40 years, Rockwell Laser Industries has delivered outstanding quality, service and support to the worldwide community of laser users. We invite you to partner with us as your source of laser safety training, products and consulting services that set the standard of excellence. The dates for the August LSO training have been moved from August 19-23 to August 26-30. For more information regarding these courses, please contact us via email or call us at (800) 94-LASER. The International Electrotechnical Commission (IEC) Technical Committee (TC) 76 will be meeting in Kista, Stockholm, Sweden from September 16 - 21, 2018. The IEC is an international organization that establishes and publishes globally relevant safety standards and technical guidelines. Its standards apply to millions of devices and systems in over 70 countries around the world. RLI president William Ertle is Secretary of IEC TC76 and will be attending, along with RLI consultants Tom Lieb, TC 76 Chair, and Jerome Dennis, TC 76 Vice-Chair. The safety of laser emissions from self-guided robots, including vehicles, are among the subjects to be discussed. Developed and taught by many of the leading experts in laser safety, our training courses have been recognized as the best in the industry. 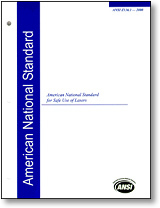 Z136.1 ANSI Standard "For the Safe Use of Lasers"
The American National Standard ANSI Z136.1 for Safe Use of Lasers is the parent document in the Z136 series of laser safety standards. 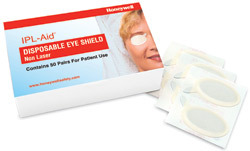 Designed with patient comfort in mind, IPL Aid™ disposable eye shields are latex free, hypoallergenic, and have an easy peel adhesive backing. 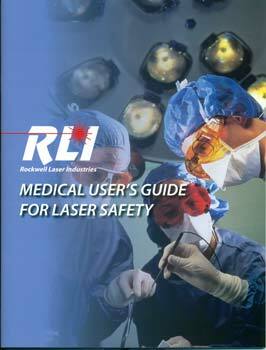 This is a 40+ page guide is filled with laser and laser safety information, diagrams, tables and photographs.